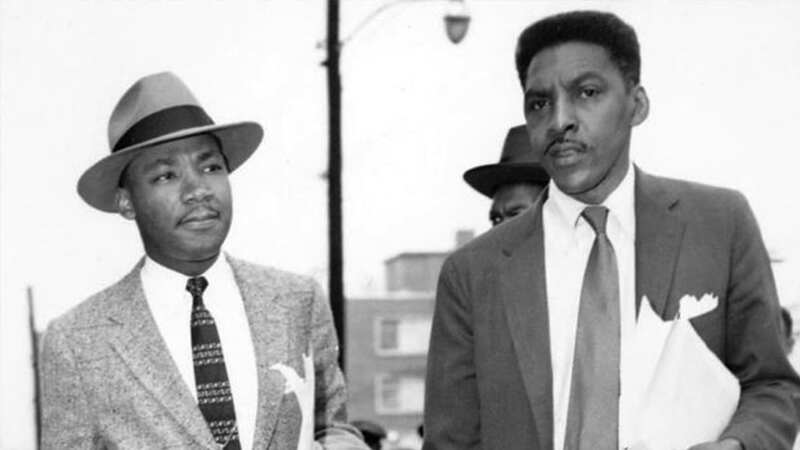 Join the BDC for a screening of Brother Outsider: The Life of Bayard Rustin followed by a discussion with the film’s co-director Bennett Singer and Bayard Rustin’s partner, Walter Naegle. During his 60-year career as an activist, organizer and "troublemaker," Bayard Rustin formulated many of the strategies that propelled the American civil rights movement. His passionate belief in Gandhi's philosophy of nonviolence drew Martin Luther King Jr. and other leaders to him in the 1940s and ‘50s; his practice of those beliefs drew the attention of the FBI and police. In 1963, Rustin brought his unique skills to the crowning glory of his civil rights career: his work organizing the March on Washington For Jobs and Freedom, the biggest protest the United States had ever seen. But his open homosexuality forced him to remain in the background, marking him again and again as a "brother outsider." Brother Outsider: The Life of Bayard Rustin combines rare archival footage — some of it never before broadcast in the U.S. — with provocative interviews to illuminate the life and work of a forgotten prophet of social change. On August 8, 2013, President Barack Obama named Bayard Rustin a posthumous recipient of the Presidential Medal of Freedom. BENNETT SINGER a New York-based filmmaker and book editor, has served as producer/director or associate producer of a number of acclaimed documentary series, including the Emmy-, Peabody-, and duPont-Columbia-winning Eyes On The Prize II, With God On Our Side, and The Question of Equality. He co-directed Electoral Dysfunction, a feature-length documentary on America’s dysfunctional voting system; hosted by political humorist Mo Rocca, the film aired nationally on PBS and won multiple awards. The former executive editor of TIME Magazine’s education program, Singer is the editor of 42 Up, the companion book to Michael Apted’s famed documentary series, and editor of the award-winning anthology Growing Up Gay/Growing Up Lesbian. With his husband David Deschamps, he co-authored LGBTQ Stats, published in 2017 by The New Press. WALTER NAEGLE was Bayard Rustin’s partner from 1977 until Rustin’s death in 1987. He is one of the authors of Bayard Rustin, The Invisible Activist, a biography for young people. Naegle is executor and archivist of the Bayard Rustin Estate.